Have you been avoiding getting that toothache checked? First, anytime you feel pain, you need to get it checked ASAP. Second, should you need a tooth pulled, or a filling, or a root canal, we offer sedation dentistry to help out! DENTAL SEDATION is the use of pharmacological agents to calm and relax a patient prior to and during a dental procedure. Minimal dental sedation offers a patient reduced anxiety. With this kind of sedation the patients able to respond to verbal and physical stimulation. These cases are typically the least complex dental procedures. The patient will remain awake or simply sleepy and relaxed. Moderate sedation is ideal for patients with more complex cases but the patient is still conscious enough to respond to purposeful stimulation. With this sedation, the patient is in a deep state of relaxation. Deep dental sedation is a full state of unconsciousness without response to stimulation. Sedation dental techniques may be administered by two general routes. The enteral route includes medications that are either swallowed, absorbed through the mucosa of the oral cavity, or inserted rectally. The parenteral route includes intravenous, inhalation, intramuscular and submucosal administration. 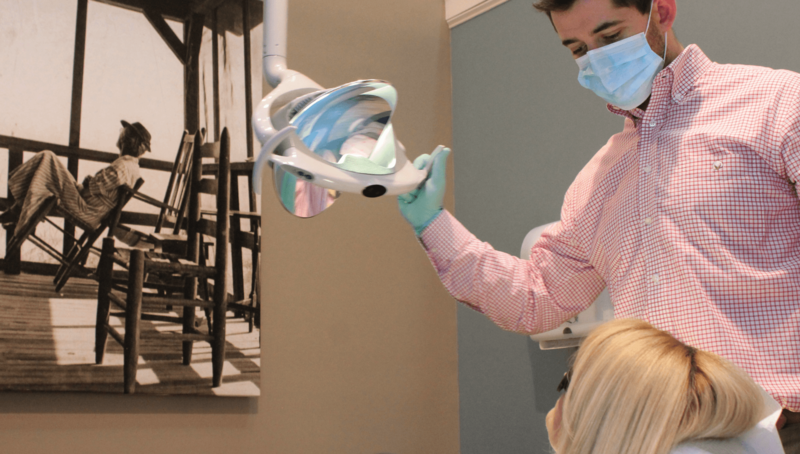 We determine the best sedation on a case-by-case basis. 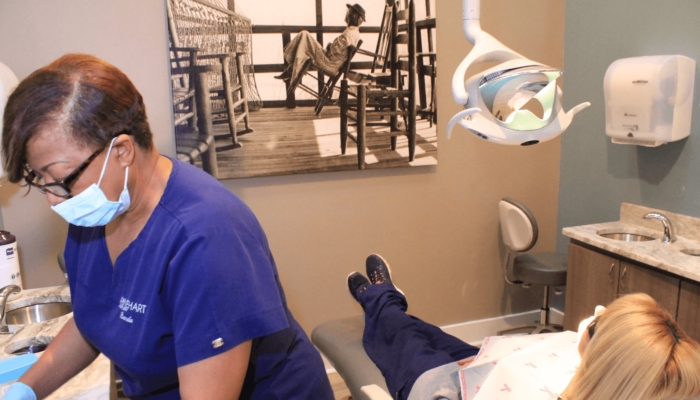 Our goal is to make your dental procedure as easy, anxiety free and painless as possible. If you have questions about sedation dental care, how it works and can help you please call our Pawleys Island dental office or our Georgetown, SC dental office.